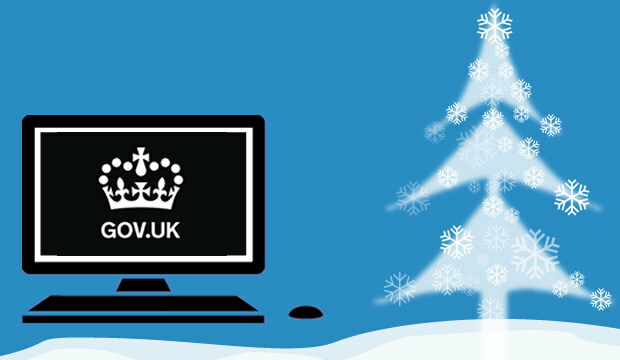 Who looks at GOV.UK during Christmas? While most of us are tucking into a turkey, or watching the mandatory re-run of Chitty Chitty Bang Bang, some people take the time to go onto GOV.UK. Traffic on the site was at 20% of normal levels, but that still leaves more than 450,000 people looking for things like jobs, the next public holiday and travel advice. Back in January 2014, Tom Loosemore predicted that more people would use tablets and mobiles on GOV.UK than desktops on Christmas day 2014, if not before. He was right. A majority of people used mobile and tablet devices to look at GOV.UK on 12 July 2014. Of course, that’s a Saturday. People use mobile phones and tablets much more on the weekends and holidays, but it’s happened a bit faster that Tom thought it would. However, on Christmas Day mobile sessions alone have exceeded desktop for the first time ever; 41.5% mobile to 41.3% desktop. Perhaps this is partly due so many people receiving new mobiles as Christmas presents. During the week, our site traffic peaks at 11am. On Christmas Day, most people looked at GOV.UK in the evening, and traffic peaks between 8pm to 9pm, possibly because people are preparing to go out. The most visited page during this time was the start page to pay the Dartford Crossing charge (Dart Charge). As expected on Christmas Day there is interest in seasonal content: drink drive limits, tax credit and benefit payment dates over the holidays and shop trading hours. And there are plenty of organised individuals looking for the next rubbish collection day. Large numbers of people come to GOV.UK looking for the Queen’s Christmas message but end up with the Queen’s Speech to the opening of Parliament. And others are looking for the New Year Honours list a few days before it is published. Some trends are less clear. Why would content on carrying a knife or banned dogs or shotgun licences be so popular on Christmas Day? Traffic to some GOV.UK content falls less than others. People from outside the UK look at visa and residence information about as much as they do on a normal day; 20% of yesterday’s site traffic came from abroad. Interest in travel content remains higher than other subjects, and government campaigns promoting superfast broadband and apprenticeships continue to create traffic over Christmas.